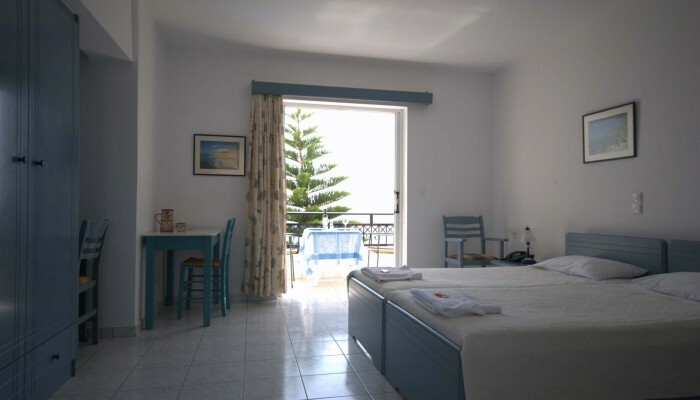 All studios and rooms of Sarikampos Beach are spacious, fully furnished and equipped, offering all modern conveniences and magnificent sea views. The garden is big and lush. There is a specially designed area for children, a traditional wood oven and two freshwater pools (for children and adults) with a modern cleaning system. You can enjoy swimming in the pools and relax while sunbathing in the garden or in the hotel’s terrace. From 08:00 to 22:00 you can enjoy your drinks, snacks and refreshments. If you prefer the sea, Sarikampos Beach is just a few steps away from your room. You can also visit the nearby village of Myrtos for lovely meals, while, if you feel like having more privacy, you can enjoy your breakfast or lunch in the garden. Just let Mina know and she and will take care of everything you would need. 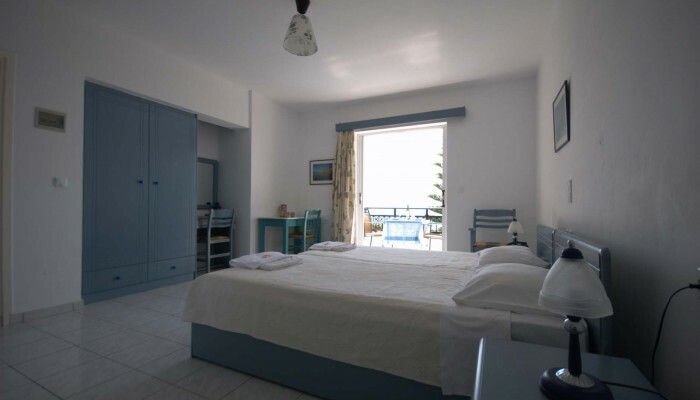 In Sarikampos Beach, Mina and Nikos are ready to offer you generous hospitality and endless moments of family relaxation.